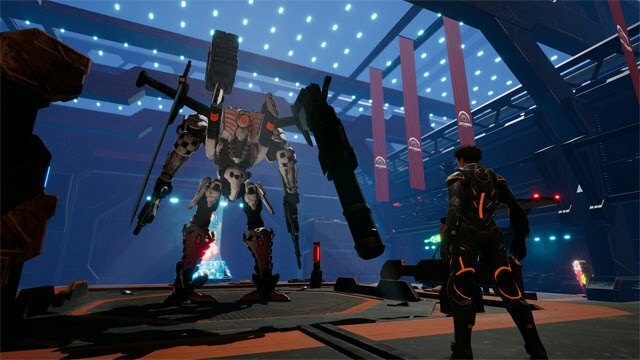 Between former Armored Core producer Kenichiro Tsukuda and Macross 7 creator Shoji Kawamori, Daemon X Machina has some top-tier mech talent working on it. In an interview with 4Gamer, Tsukuda and Kawamori discuss how they approached the design of the mechs in the game, and how Daemon X Machina came to be, to begin with. We've translated specific portions of the interview that discuss these topics. 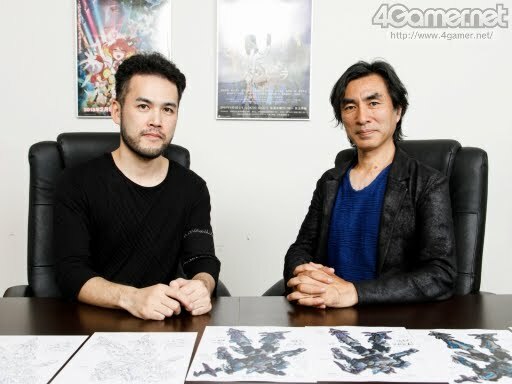 Regarding the game's creation, Kawamori reveals that the goal was always to create a mech game for the Nintendo Switch right from the conceptualization stage. "First, I brought up the idea of developing a game for the Nintendo Switch," Kawamori says. "When I talked with the members of my production team about what we could do on this new hardware, they said they wanted to make a Switch-oriented 'mecha game'." "From there, we decided to take on the challenge of making a mecha action game which would make full use of the hardware's specs and have graphics that have never been seen before." Ever since the announcement, instead of the word "robot," you've been using the word "mecha," correct? It's hard to explain, but one of the reasons for this would be the difference in meaning between Japan and overseas. In Japan, the word "robot" is used in a wide sense, but originally it points to something that moves on its own, whether it is human-shaped or not. I believe that many people in Japan also associate it with human-shaped weapons you ride in. It isn't really a matter of which is right or wrong, but in this title the Arsenals, which refers to an outer gear, are close to an exoskeleton or powered suit, so we felt that rather than "robot" the word "mecha" would be more apt. I see. You just said that Arsenals are close to a powered suit, but they are 5 metres tall, correct? How did you come to settle upon this size? Compared to the other objects in the game—humans, towns, tanks and other weapons—what size would make the battles the most spectacular? 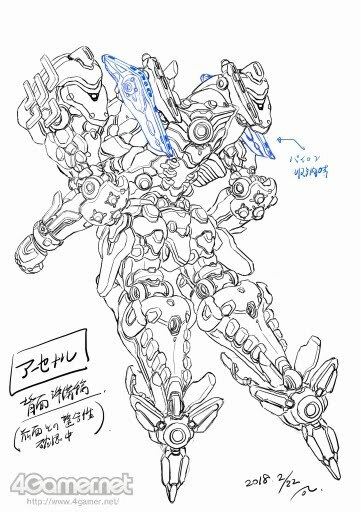 This is something we discussed among the development team before asking Kawamori-san to work on the designs. Kawamori-san, how did the proposal come to you? Was there already a fixed design concept? It evolved as the project progressed, but at the very start the proposal was "what about a full medieval armour with a modern feel to it?" Aside from the medieval armour feel, the muscular design [of the Arsenals] really stands out. This musculature is the key characteristic of the Arsenals' design. Upon considering what would best convey this title's personality, I felt that instead of creating a fully-armoured look, setting the armoured parts over the more muscular, fleshy parts would make for a better design. 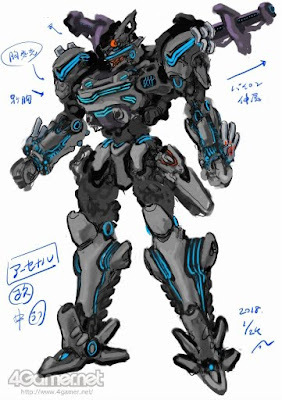 The Arsenals are designed around concepts such as "wearing them to fight," being able to equip several weapons, or being able to switch weapons during fights. The global image I gave to Kawamori-san was... a mecha that would move like a human being, despite all the heavy weapons it was equipped with. I did take into account the act of fighting with many weapons equipped. This might sound bad, but be it in games or anime, it can be easy to just make things up to deal with the weight issue. I couldn't help but wonder: "is that really good idea?" My solution was the idea of making the armor lighter to compensate for the heaviness of the weapons. So, the question was "can a heavily armored machine really move around easily while carrying so many heavy weapons?" I had him draw the first concepts while discussing that very idea. The original idea of a medieval armour changed as he drew it out, but in the end it turned out to be a much better design while retaining portions of the original concept. From there, I thought that rather than being so fixated on the medieval armour idea, it would be a better idea to use his first draft more as a base and to consolidate the mechanical designs around it. (laughs) So, what kind of design did you come up with to bring out their personalities? The basic image is of ski boots. I'd been meaning to use such a design for a while now, but if you just draw them as is, it makes the legs look short. So I started thinking about how to make the make legs look longer while retaining the ski boots' unique form. That's when I tried the look they have when you put them on, with the front and back opened up. With a protrusion in front and a stretched feeling to the sides. All these can be interpreted as nozzles or thrusters, and make for a good Arsenal trait. When you use weapons and such, the hatches open on the feet. This feature was another of Kawamori-san's ideas, and they made the mechas look much more stylish. The way they open when you dash is rather nice, too. Yes. The first example the production team showed us was actually rather subdued. 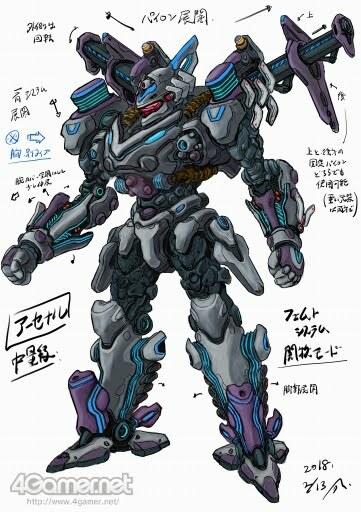 And when Kawamori-san saw it, he said, "Wouldn't it be better to go all out?" Go all out and have the whole leg open up, that is. Of course it is a mechanical gimmick, but it also incorporates the idea of allowing the player to visually track what they're currently doing. It's the same with the weapon pylon. * You can pick weapons lying on the ground up during battles, but Kawamori-san said, "Rather than just picking it up and equipping it, having a gimmick associated with [this action] would allow the player to clearly see what he's doing, and it can also be used as a characteristic for the mecha." With this in mind, I had it designed as usually being closed and opening up when equipping a weapon. *The brace on which you mount the flight engine or other equipment. In this game, it points to the part of the Arsenal where you equip weapons. 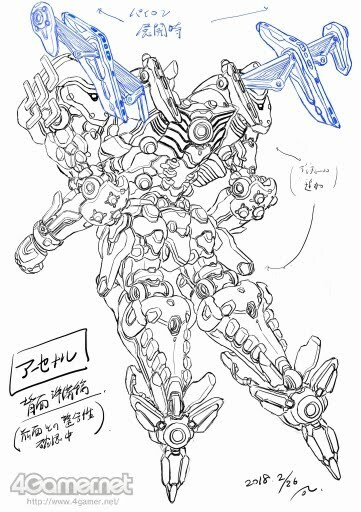 Kawamori also touches upon the differences between designing mechs for games and designing mechs for anime (or other media). Mech design for games is, as you might imagine, a lot more difficult. I guess the biggest difference would be the view from behind. In games, you basically see the mecha you're controlling from the back. No matter how cool the design might be from the front, its back is what you'll see the most throughout the game, so the back design is really important. 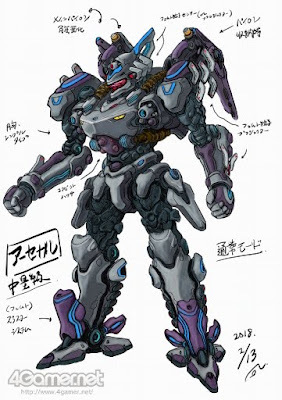 Although this was also true back when I first worked on the mechanical design for Armored Core, the large number of robot or mecha action games that exist today has made it especially hard to convey the uniqueness of a mecha from its rear design, and to make it stand out from other titles. The Arsenal's "spine" plays a role in the world design and settings, so one of the characteristic traits of the Arsenal is its "gleaming back". I believe there have already been such spine-like designs before—it is a rather easy to understand image after all. 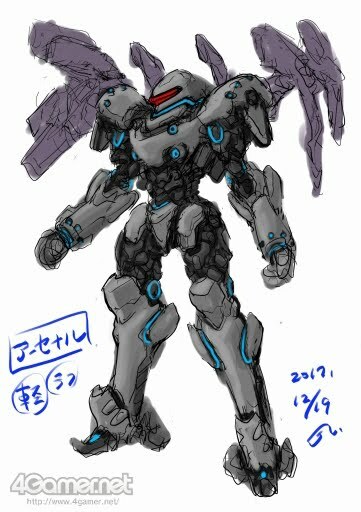 The Arsenals were designed so that aspect of them is clear during flight, and when I saw it I thought, "Wow, that's Kawamori-san for you!" Thank you. That idea came to me when I learnt that [the Arsenals] would fly in a forward-leaning posture rather than an upright posture. Also, in that forward-leaning posture, you can see the sole of the feet, too, so I thought it'd be better to make those characteristic as well. Some other characteristics I thought up are the pylon deployment we mentioned earlier and the use of slit nozzles, for example. Also, this is true for anime, too, but an important aspect of mechanical design in games is "the reality of the game world". In industrial design, this would be whether the Arsenal could actually stand and move around in a way that makes practical sense. However, even if it would never be able to move in our world because of the weight of its equipment and weapons, it becomes feasible in games or anime. It's close to the weight issue you mentioned earlier. So, is it a problem of the balance between reality and fantasy? That's exactly it. One wrong step and it would turn into too much of a super robot. On the other hand, if you were to take away the Arsenals' heroism to bring them closer to reality, they would become boring. It's the conflict between these two aspects. Among others, I suppose the matter of whether the player feels like he is actually controlling [the mecha], and what kind of actions would make controlling it more fun are also important. I believe that mechanical design for games isn't just about the visual aspect, but that it also includes all the things I've mentioned until now. The leg boosters opening when moving, the forward-leaning posture when flying, the gimmick upon equipping a weapon, and other such details. The developers decided to make shadowed areas on the Arsenals completely black, as part of the game's visual style. The open parts of the Aresenals light up, so when you're in a shadowed area, you only have a skeleton-esque view of your mecha. They're working on associating a musical instrument with each weapon, so when you use a weapon, the sound it makes is from a particular instrument. They also talk about how some part of the head tells you which manufacturer or period each Arsenal is from. Images courtesy 4Gamer.net. Translated by Claire Rouveyrol. Edited by Ishaan Sahdev.